The Tiryns signet ring. 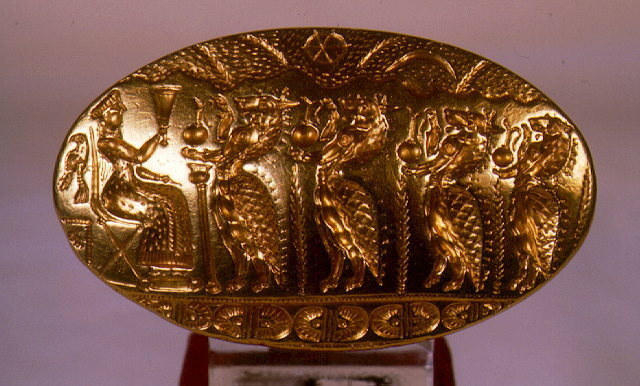 Gold signet ring from the "Tiryns Treasure". On the bezel is depicted a ceremonial procession of lion-headed genii holding libation jugs, towards a seated female deity. Dated to the 15th century B.C. Inv. no. 6208.